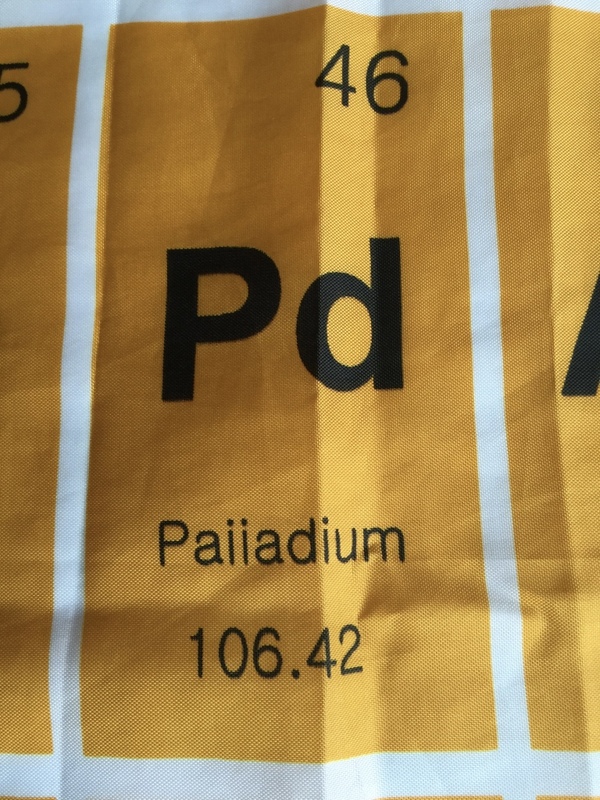 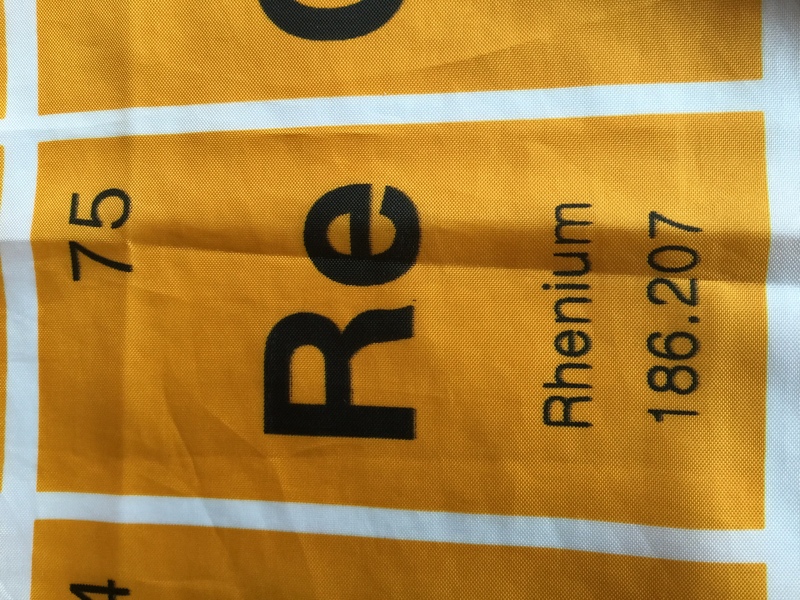 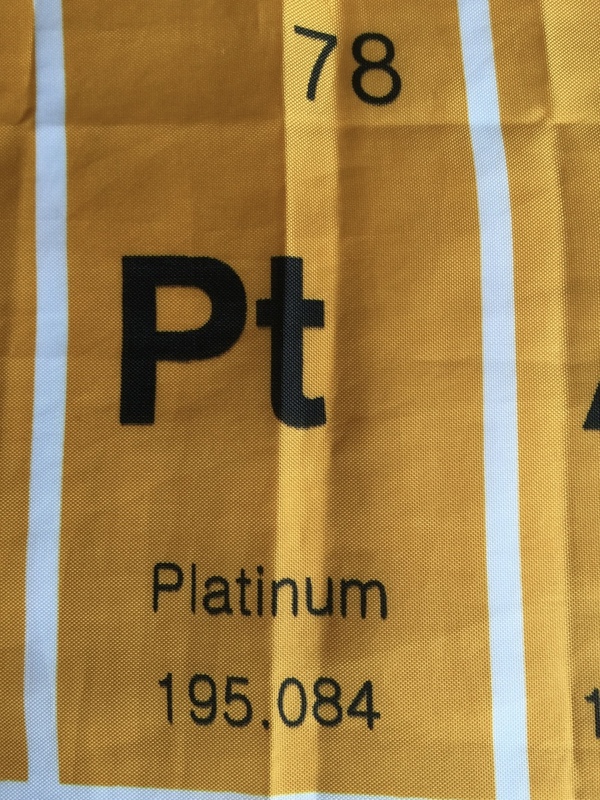 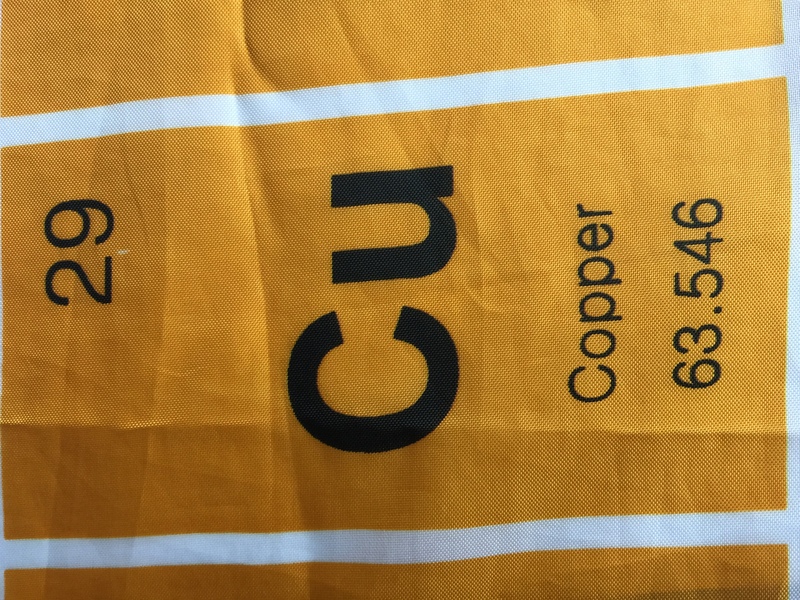 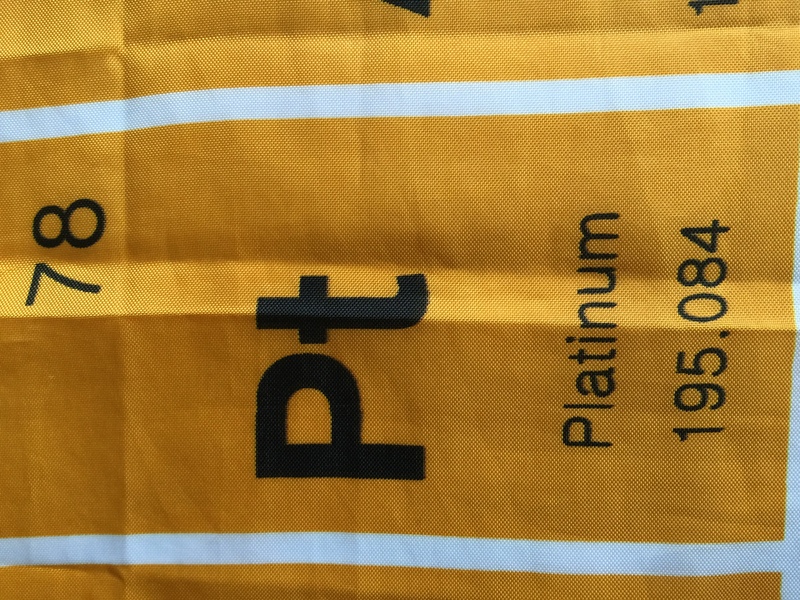 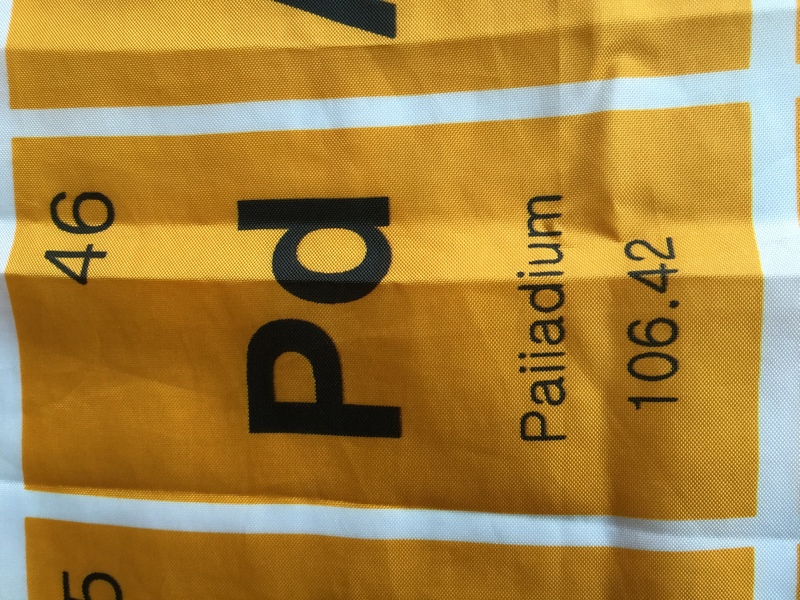 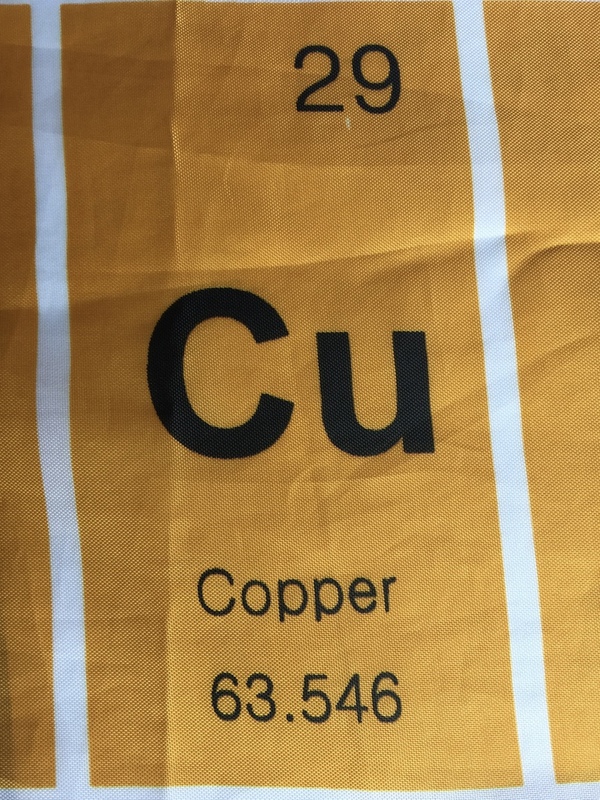 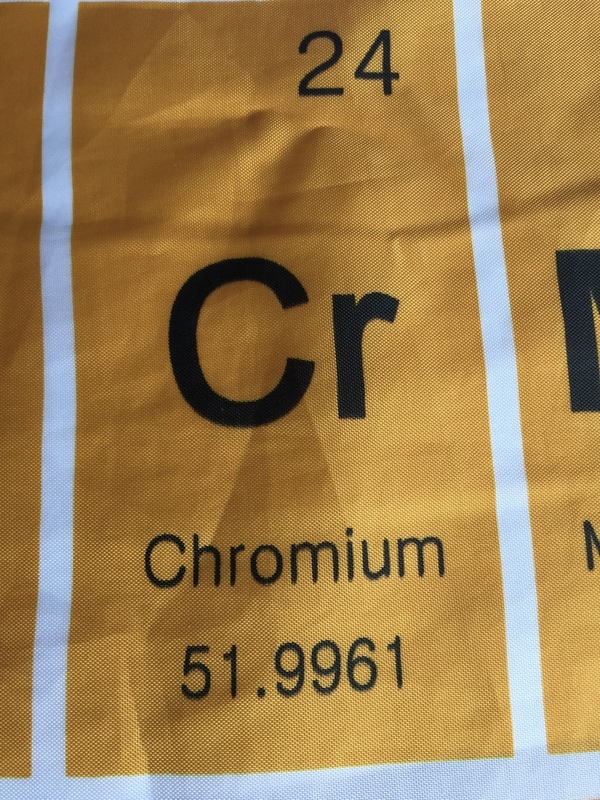 We have a periodic table shower curtain. 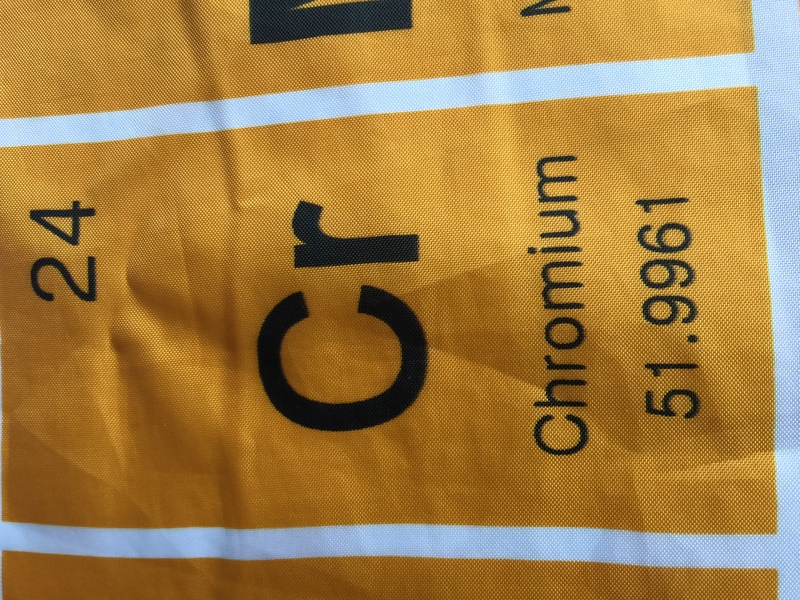 It mostly uses Arial for its lettering, as you can see from the "R" and "C" in the heading below, though some of the lettering is Helvetica, like the "t" and "r" in the smaller caption. 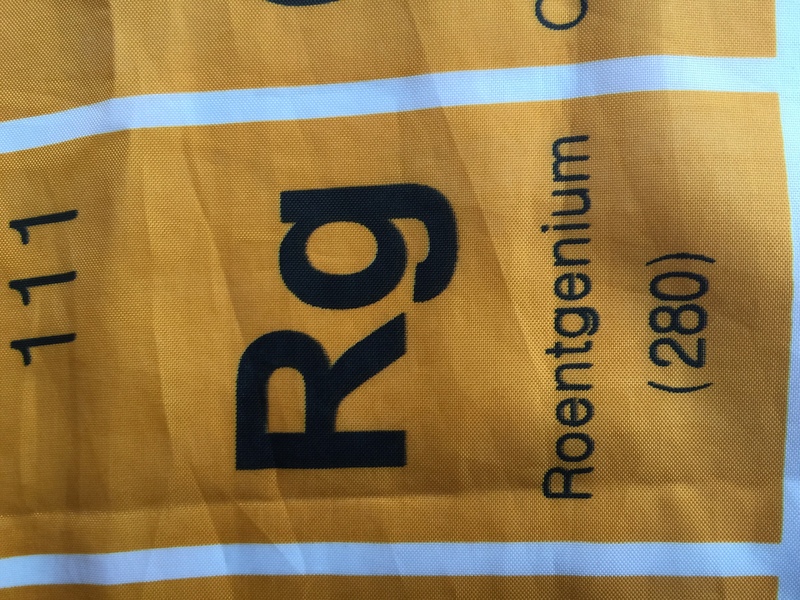 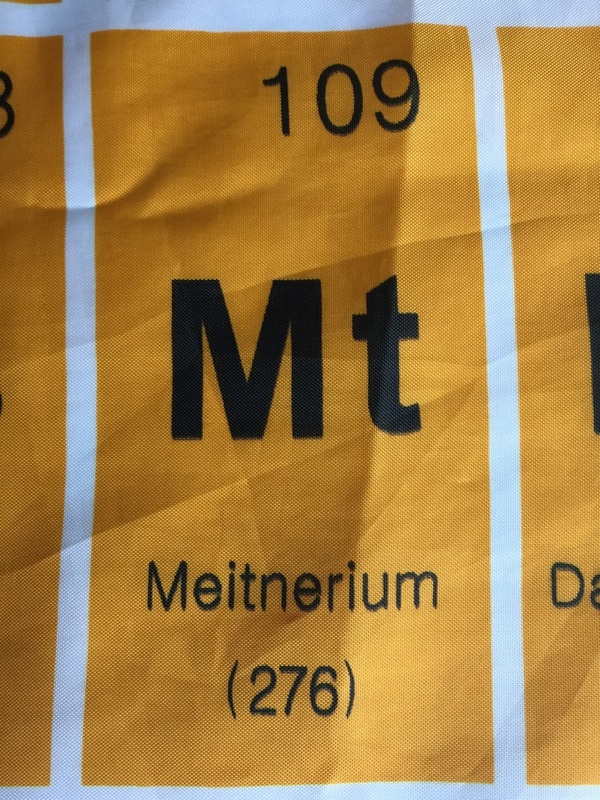 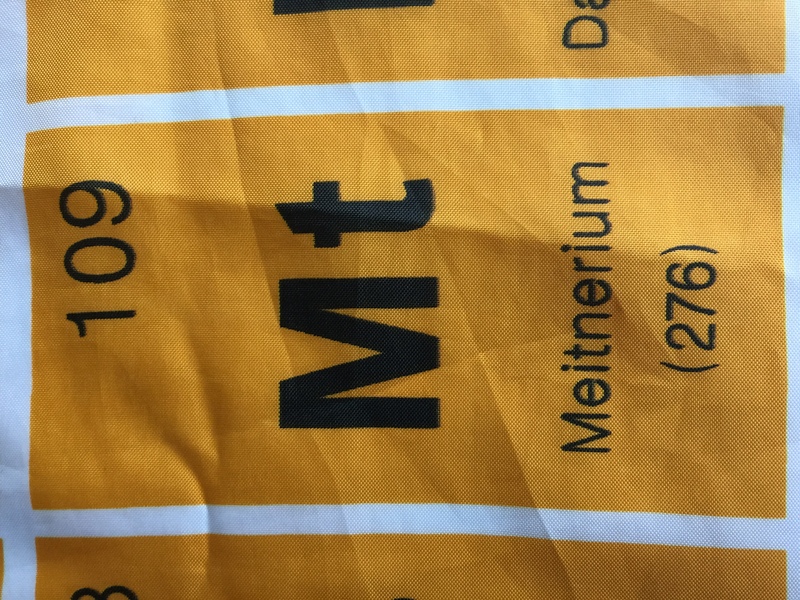 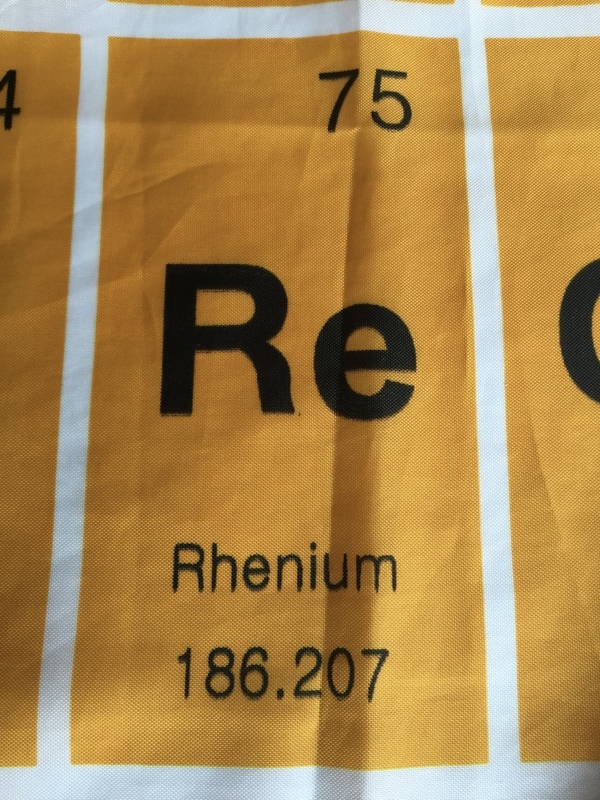 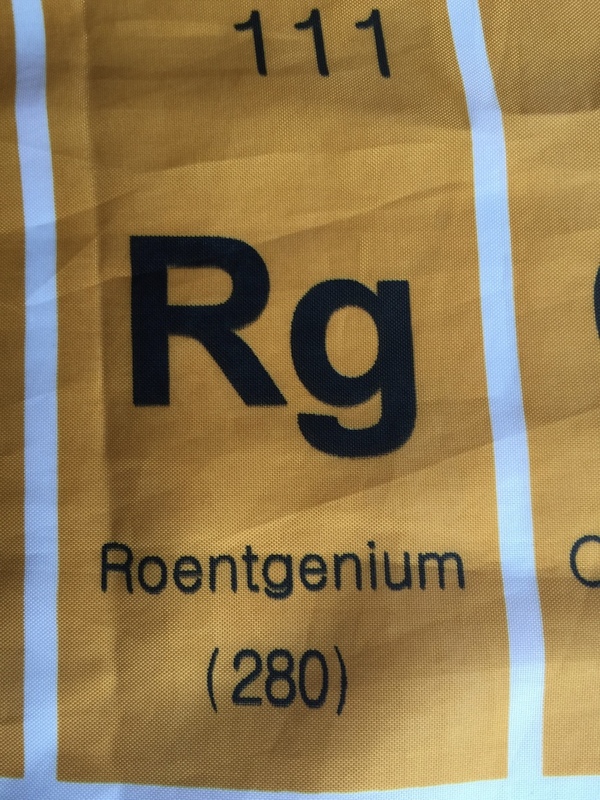 Platinum is Helvetica but Meitnerium is Arial - note the tops of the "t"s.
Roentgenium is all Arial; Rhenium has a Helvetica "R" but an Arial "e"! 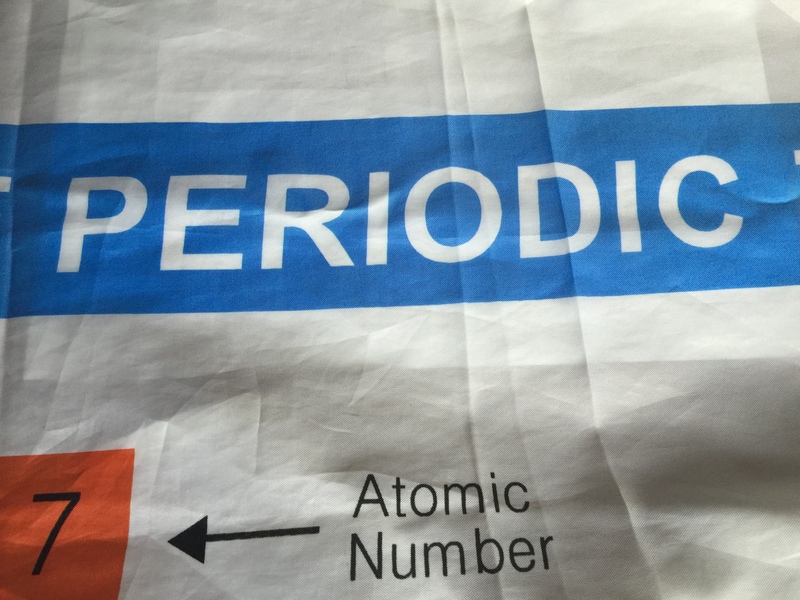 It is a very distracting shower curtain.